The Command Prompt has been one fixture that hasn’t changed since the early days. 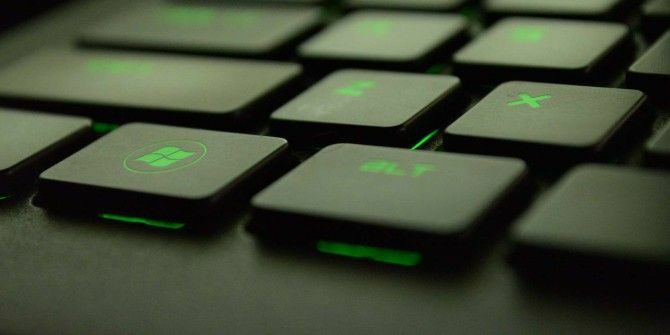 We often underestimate the usefulness of the command prompt 7 Common Tasks The Windows Command Prompt Makes Quick & Easy 7 Common Tasks The Windows Command Prompt Makes Quick & Easy Don't let the command prompt intimidate you. It's simpler and more useful than you expect. You might be surprised by what you can accomplish with just a few keystrokes. Read More . So, by now you should know how to open the window. At last count, there were more than ten ways to get to the blinking cursor. Maybe, you use the Win + X Power Menu shortcut. Or, open the command prompt from the Search? Maybe, you are still stuck on going all the way to the Windows System in the Start menu for the shortcut? They are all good and useful. If you use the command prompt often, then it’s just the matter of making the process speedier. And here is the simplest way to do it. Try this right now. 1. Open File Explorer, any Windows folder, or the one folder you want to access with the Command Prompt. 2. Type cmd in the address bar of the Explorer window. Hit Enter. 3. The Command Prompt window is displayed with the current Explorer path as the starting path. Note: This method does not allow you to open a command window with administrator rights. You can always use the explorer c:\some\folder\ path to open any folder by specifying the location of the directory. An Explorer window will open with the contents of the directory your command prompt is in. These easy to remember time-saving tricks are always helpful for speeding up your work. So, tell us in the comments below: which method do you prefer to open a command prompt? Explore more about: Command Prompt, Windows 10. The fastest and best way to open CMD is WinKey + R to open up a run window, then type cmd and hit enter. Yes, but it won't open one the CMD prompt in the folder you want to access with the DOS window. Create your own keyboard shortcut for it. What the hell is this crappy article? Sounds like the author is 12 just figuring out how to use cmd. Google, why did you recommend this article to me? I'm not one to usually leave comments but Jesus, this is the most pointless article. I was expecting some amazing widows secret keyboard combo or something, not this. In fact I would go as far saying this is one of the slower ways of opening cmd. Or just use Win + R, then type "cmd" and hit enter. Is the fastest way for years now and still is, since waiting for a explorer windows to open takes time. +1 for Win+R > cmd. For me, depends on whether I need cmd with or without administrative privs. If not, Win+R > cmd, enter. If I do need admin rights, I do Win button, type cmd, press right cntrl, shift and enter. The "Open command window here" trick is nice but it requires you have space on your desktop to do it on. When you have to hit Win+D and then navigate GUI elements with a mouse, then it becomes slower. you my friend, are a godsend.